Before I get started on one of my favorite topics (I’ll let the suspense build up a little bit), I want to make sure you saw my piece that ran in the American-Statesman on our vision to invest in the health and economy of this community by achieving 10 Goals in 10 Years. As I said in the article, it’s the best thing we can do for ourselves, our families, our neighborhoods and our future. The 10-in-10 goals include a medical school affiliated with the University of Texas, a modern teaching hospital, cutting-edge medical research facilities, badly needed psychiatric care, comprehensive cancer care, facilities that bring our medical discoveries to market and unique health clinics tailored to the needs of our neighborhoods and our people. For months, I’ve had the pleasure of working with lots of distinguished community, healthcare and business leaders to bring this vision to life – 17 of those folks serve on the organizing committee I put together for this effort. We’re making great progress. And some good questions have come up over the course of our work. The article lays out those questions and the answers to them. I really hope you’ll read it. Increase the availability of cutting-edge care, creating local alternatives for those who currently have to travel to places like Houston or Dallas for treatment. Create a pipeline of doctors to fill the growing shortage we know we have — allowing for additional treatment options, increased access to clinical trials and more specialists, including those dedicated to treating the elderly. Improve opportunities for uninsured people to get the medical care they need. Increase the flow of grant funding for research, which can lead to more jobs, new company startups and the local licensing of new technology. As I said, we’ve accomplished a lot. But there’s a lot more to do. Please take some time to go through this piecenbsp;and learn more about what we’re doing and why it matters. Thanks very much for your help and support. Last week wasn’t just Spring Break. It wasn’t just the South by Southwest music/film/interactive conference and general bedlam in Austin. 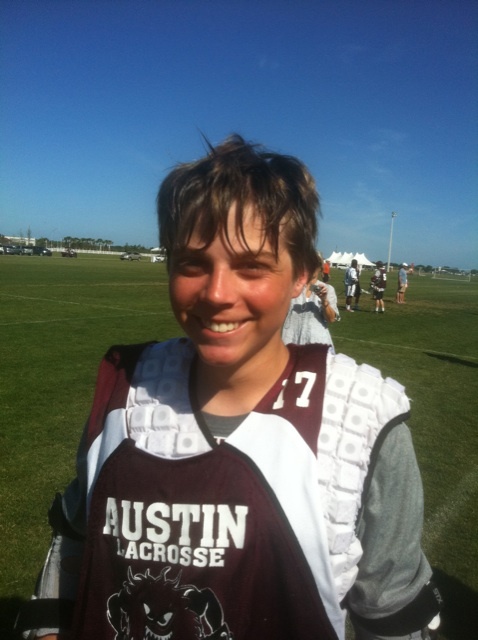 It wasn’t just a week that Cooper Watson and the Austin High Maroon lacrosse team played in a Florida tournament. It was also what’s known as Sunshine Week – a time created to focus on basic government openness and transparency by folks who care about the subject. As you probably know, this is a subject that’s been near and dear to my heart for a long time. Last year, I introduced the Honesty Agenda to create more openness and honesty in the way the state handles taxpayers’ money – and to end the debt, diversions and deception that those in control of the Capitol have used for years to balance the budget. The fact is, Texas can do better in how it spends taxpayer money – and in how the state demonstrates what taxpayers are getting for their money. Reform will ensure that the state addresses the challenges of middle-class Texans and that the budget is on their side. Before we cut billions more from public schools or ask the middle-class to pay more, we need basic reform and accountability in state budgeting. Taxpayers deserve to know where every penny is being spent. Those in control of the Capitol have refused to use 9-1-1 service fees – money you’ve already paid in phone bill charges – to cover the costs they’re supposed to cover, meaning many areas, including Austin, are falling behind on needed upgrades to emergency phone systems. State elected officials benefit from a loophole – one that most state employees can’t use – allowing them to collect a retirement pension at the same time they’re getting a salary for active service. Worse yet, state law doesn’t require disclosing who’s doing thisdouble-dipping. It’s way past time to change that. A state law intended to give the Comptroller flexibility in awarding incentives to attract major sporting events (such as the Super Bowl) is instead being used to give money to events that are inherently tied to Texas (like the Cotton Bowl or Alamo Bowl). And as this editorial puts it, “The Legislature – and the comptroller – need to assure taxpayers they’re getting a real bang for the bucks they spend on luring big events.” If the program needs to be reformed, the legislature must hold those responsible for it accountable. I’ll be working hard – over this year and during the next legislative session – to make sure that accounting happens, publicly and in the bright light of day. We need reform. The state has got to stop breaking promises to Texans about how their money will be spent. Like I said, Texas can do better.